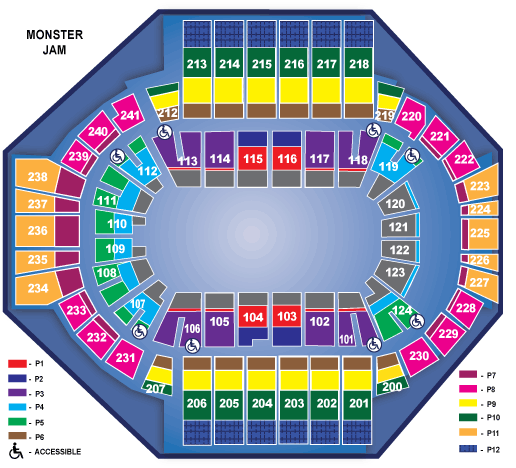 Monster Jam returns to Hartford this December! Feld Motor Sports® is pleased to announce that Monster Jam®, the world’s premier Monster Jam truck series, will return to the XL Center December 15th & 16th. Don’t miss this unique, action-packed, live experience where world class drivers compete in events such as; a timed obstacle course, a two-wheel skill challenge, a competition of which truck can perform the most donuts, freestyle competitions, and more! Get up close and personal with the Monster Jam trucks and drivers at the pre-show Pit Party! This experience provides fans with unparalleled access by providing a fun opportunity to meet the drivers, get up close to the Monster Jam trucks, collect their autographs, take photos, and much more! *PIT PASS MUST BE ACCOMPANIED BY AN EVENT TICKET. The Pit Party pre-show event takes place from 10:30AM-12:00PM before the Saturday and Sunday 1pm shows ONLY. Ages 2 & Up require a ticket.